Protect Your Skin From Sun Damage: 7 Tips That Work! Basking in the sun is a great way to strengthen your immune system. Sunlight can help keep your bones healthy and strong, promote a healthy sleeping pattern, and even enhance your mood. However, the sun’s ultraviolet rays can also cause a fair amount of damage to your skin when you step outside unprotected. Whether you have fair skin or a dark complexion, always remember to protect your skin from sun damage before embarking on your day of fun in the sun. To prevent skin discoloration, protect your skin against premature wrinkling, and decrease your likelihood of developing skin cancer, always remember to apply sunscreen before leaving the house. Yes, it’s true; some sunscreens can leave your skin with an unpleasant oily texture or white film, but that doesn’t mean they’re all the same–or that you should avoid using them. Simply compare and contrast a few different sunscreens, preferably from a brand that specializes in organic skin care, in order to find your favorite. Sunscreen is available in many forms, including lotions, ointments, gels, and even spray-on formulas. No matter your choice, always apply liberally, and remember to reapply roughly every two hours. If you’re swimming or working out (and sweating a lot), reapply your sunscreen more frequently. It’s true that the longer you spend outside, the more UV rays you’ll come into contact with. However, just because there’s daylight outside doesn’t mean your level of UV exposure stays the same throughout the day. When the sun is high in the sky (between 10am and 4pm) the sun is at its maximum intensity–and the more intense the sun’s light is, the stronger the UV rays are. 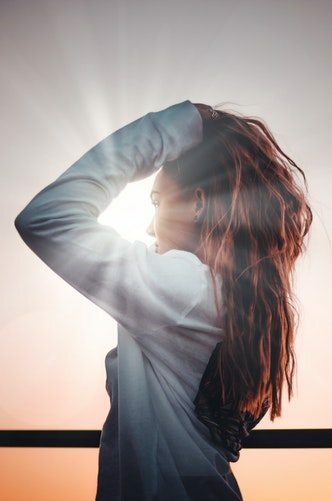 If you want to get your daily dose of sunlight without searing your skin, it’s always best to soak up the sun in the early morning or late afternoon. Here’s another tip that will help you protect your skin from sun exposure: it’s all about location, location, location. If you’re planning to travel for work, go on a vacation, or move to a new city, pay close attention to how your new destination may affect your skin. The sun’s UV rays are the strongest at the equator, and they weaken as you move closer to the north and south poles. If you’re native to Canada, but you’re planning a tropical vacation, make sure you alter your sunscreen routine accordingly. The same goes for a drastic change in altitude. The higher you go, the thinner the air–and the stronger the sun’s UV rays. If you’re planning on hitting the slopes or go mountain climbing, take extra precautions to protect your skin. What do snow, sand, and water all have in common? They reflect the sun’s rays and increase the intensity of UV light. 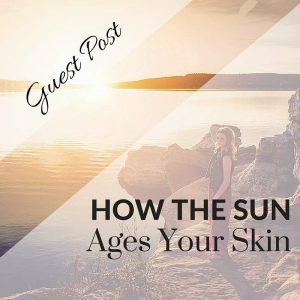 Because of this, sunburns can happen any time of the year–and the possibility of experiencing sun damage is greatly increased when any of these natural sunlight amplifiers are in the vicinity. Whether you’re planning a day at the beach, taking your new boat on her maiden voyage, or shoveling sidewalks to help out your community in the winter, make sure you take extra precautions to protect your skin from sun damage. Apply sunscreen to any exposed skin, invest in some SPF lip balm, and wear a pair of shades to protect your retinas and the sensitive skin around your eyes. If you want to safely enjoy your time in the sun, remember to seek out a shady spot whenever possible. Just because you’re spending your day out and about doesn’t mean you have to stay in direct sunlight 100% of the time. When you want to take a break from your activities, find a shady spot under a tree or sit at a picnic table that’s equipped with an umbrella. If you have somewhere you need to be, simply walk on the shady side of the street. Little changes like this can make a big difference. Don’t you hate it when one of your arms ends up more tan than the other, just because you’re the designated driver? It can be annoying, for sure, but it can also be dangerous. Even though glass windows can effectively block one form of radiation–the sun’s high-intensity UVB rays–UVA rays can still penetrate glass. You may think you’re safe when you’re driving with the windows up and the air conditioner on, but if you’re in the car on a frequent basis without protecting your skin, you can amass a serious amount of sun damage. To protect your skin while you’re in the car, simply apply sunscreen to all exposed skin before hitting the road. In the cooler months, you should only have to apply sunscreen to your hands, neck, and face, but in the summertime you may also have to treat your arms, legs, and feet. Sadly, no matter how many steps you take to protect your skin from sun damage, you’re likely to accumulate some fine lines, wrinkles, age spots, and dry patches over the years. If the damage has already been done, restore your skin’s healthy glow and supple feel with antioxidant-rich organic skin care products. 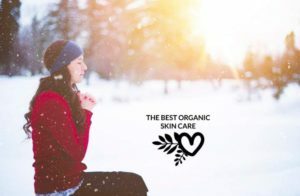 Infused with healthy, all-natural ingredients that help inhibit free radical production and protect skin cells from damage, organic serums and face creams are designed to nourish your skin, support skin renewal, and prevent further damage. Now go out there and enjoy the sunshine! With these tips, you’ll be able to keep your skin healthy and safe, no matter what your day as in store for you! Author Bio: Beverly Goldberg is a freelance writer and skin care enthusiast based in Los Angeles, CA. She loves experimenting with new products and ingredients, and frequently writes reviews about up and coming brands. In her free time, she enjoys gardening.